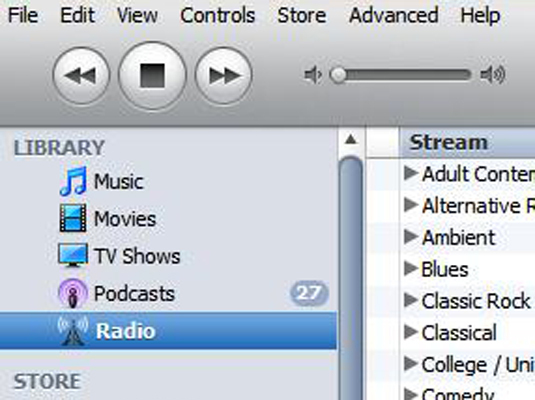 iTunes allows you to play streaming radio, also called a streaming broadcast. 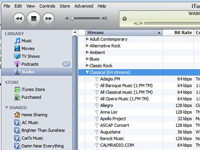 To play streaming radio, iTunes offers a set of links to radio stations on the Internet. 1Select the Radio option in the Library section of the Source pane. 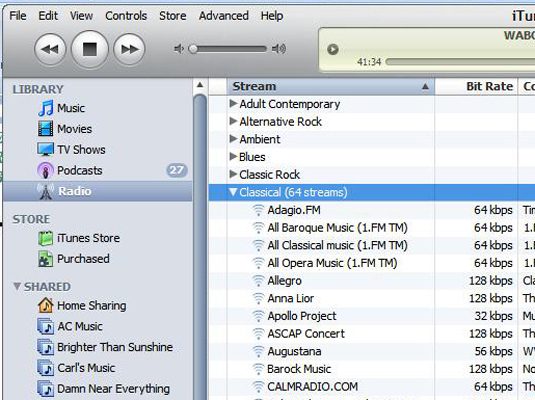 2Click the triangle next to a category name to open the list of radio streams in that category. Some large radio stations offer more than one stream. 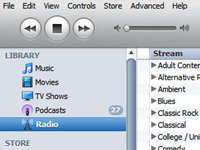 iTunes automatically connects to the Internet to retrieve the latest list of radio stations for each category. 3Select a stream and then click the Play button. To select a stream, click its name in the list of radio stations. Within seconds, you hear live radio off the Web.